Let’s go to watch Japanese professional football league!!! Recommend J.league to tourists. Have you ever heard of “J.league” ? If you like football, I recommend going to watch J.league when you visit Japan. J.league is an official name of Japanese professional football league. It is the second most famous professional sports in Japan. The most famous sports in Japan is baseball, and the second famous sports is football. The Japanese generally don’t call its sports football. 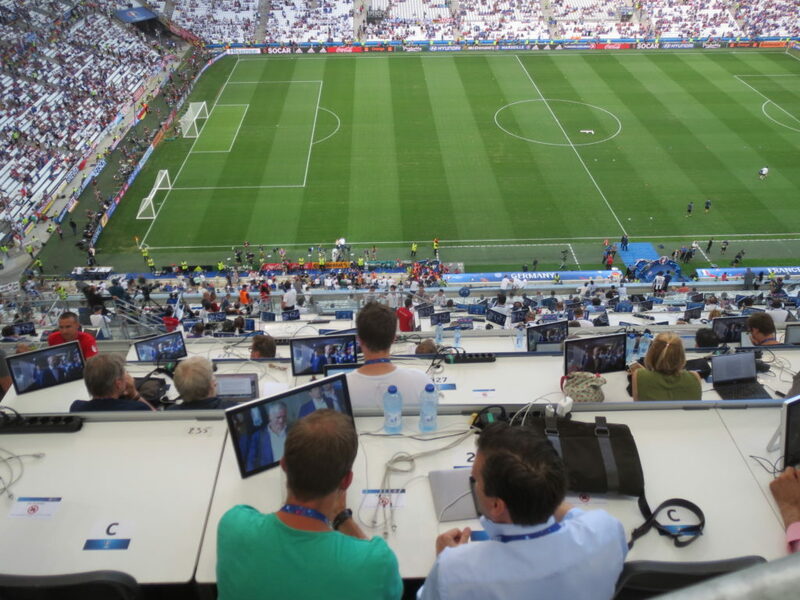 They generally call its sports soccer. That’s why you should use the word “soccer” if you talk about football in Japan. J.league has three categories. These are J1,J2,J3. J1 is the first league in J.league, J2 is the second, and J3 is the third. J1 consists of 18 teams. The teams are located all over Japan. This time, Let me introduce the stadium where J.league matches are held in Tokyo and the environs. Ajinomoto Stadium is in Tokyo. Concerning access to the stadium, it is about 35 minutes from Shinjuku Station to the stadium. It takes about 25minutes from Shinjuku Station to the nearest station of the stadium, which is Tobitakyu station. Japanese football stadiums are generally far from the downtown area, but Ajinomoto Stadium is comparatively closer to the downtown area of Tokyo. Ajinomoto Stadium is the home stadium of FC Tokyo and Tokyo verdy 1969, so you can see matches of both teams. Todoroki Athletics Stadium is in Kawasaki city,Kanagawa prefecture.Kanagawa prefecture is close to Tokyo. Concerning access to the stadium, it is about 45 minutes from Shinjuku Station to the stadium. It takes about 25minutes from Shinjuku Station to the nearest station of the stadium, which is Musashikosugi station. It takes about 20 minutes on foot from Musashikosugi station to the stadium. You can also go to the stadium by bus. The bus stop for the stadiuma is in front of Musashikosugi station. 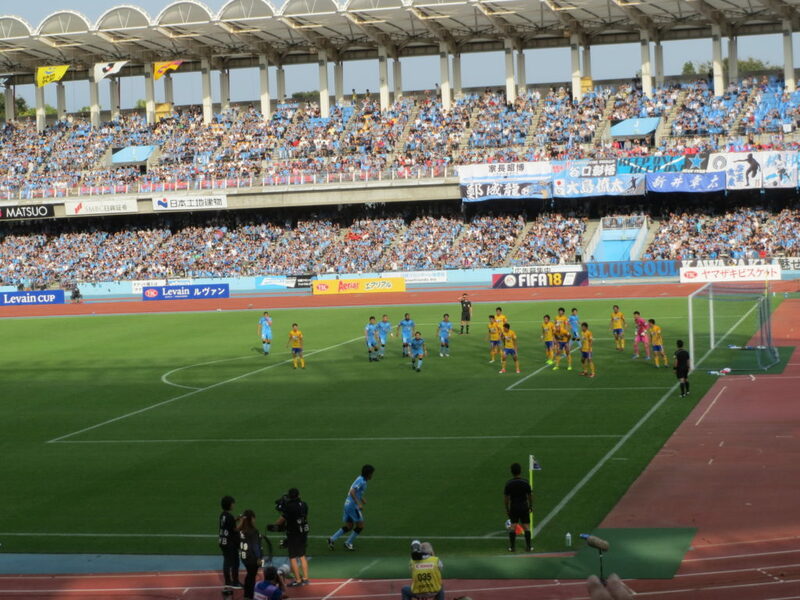 Todoroki Athletics Stadium is the home stadium of Kasaki Frontale. Saitama stadium 2002 is in Saitama prefecture which is the neighbor of Tokyo. Saitama stadium 2002 is the stadium where 2002 FIFA world cup semi-final was held. 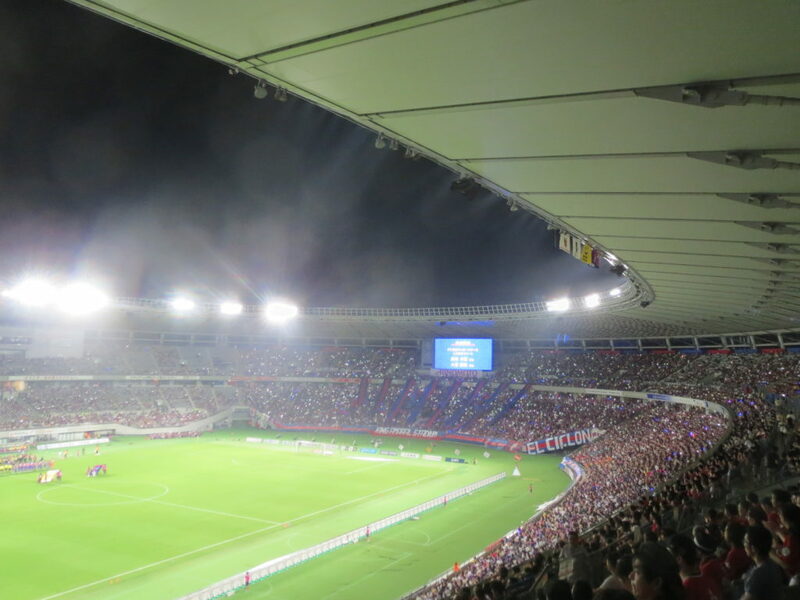 The stadium is the largest football stadium in Japan, and it can hold up to 63,700 spectators. Regarding access to the stadium, it is about 75 minutes from Shinjuku Station to the stadium. It takes 55 minutes from Shinjuku Station to the nearest station of the stadium, which is Urawa-misono station. It takes about 20 minutes on foot from Urawa-misono station to the stadium. 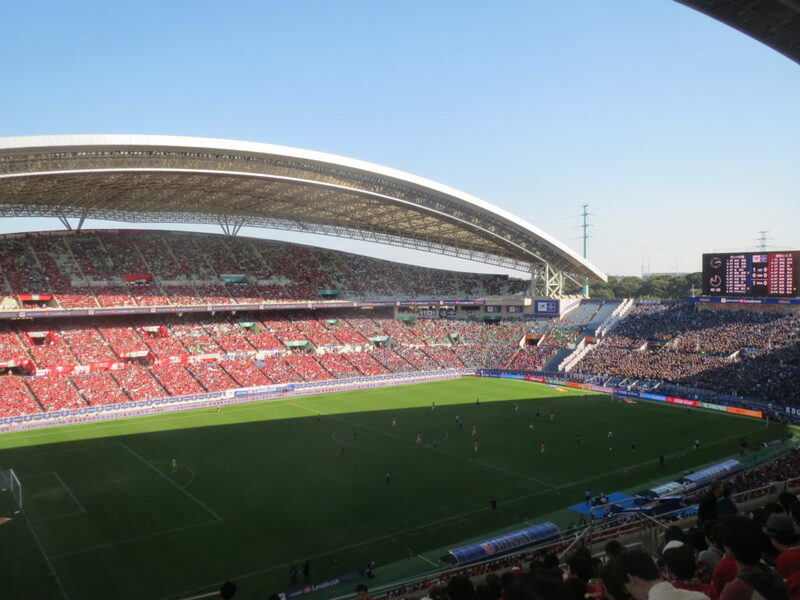 Saitama stadium 2002 is the home stadium of Urawa Reds which is the most popular team in J.league. 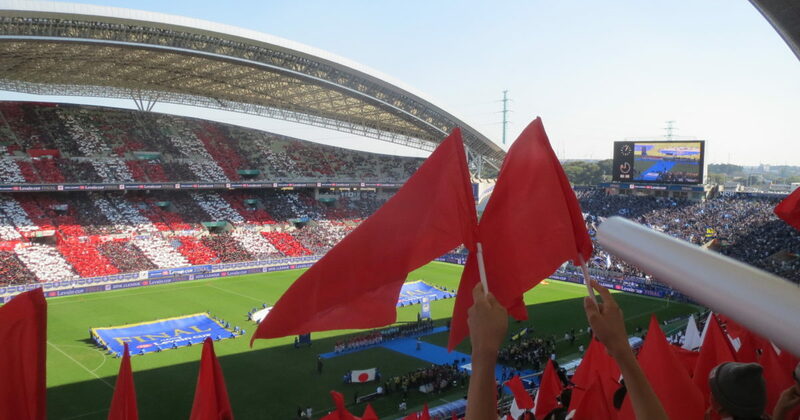 Urawa Reds supporters are known as enthusiastic supporters in J.league. You will probably be able to see their amazing support when you go to Saitama stadium 2002. J.league is Japanese professional football league. Please go to watch J.league matches when you visit Japan. You can definitively have a fun time.